7) Enter the dates the car was made available to the employee if within the current tax year. 12) If any required information has not been entered for the benefit, Brightpay will alert you to this. 13) Using the information entered, BrightPay will now calculate the cash equivalent of the car and fuel, where applicable. It will then determine the number of pay periods still remaining in the tax year and distribute the cash equivalent of the benefit equally across these remaining pay periods. 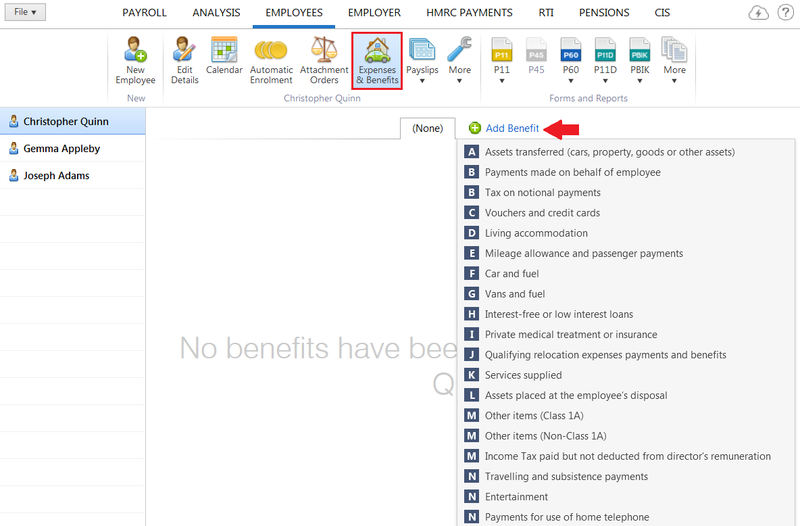 15) To view or edit the benefit details, simply click the Edit button next to the amount. On finalising the employee's payslip, the benefit figure will subsequently appear on their payslip. Please note: the details of payrolled car benefits are included on the Full Payment Submission. They are included in the first pay period in the tax year that the car is first payrolled. They are re-included in a subsequent submission if any of the car details change (with an “Amended” flag).